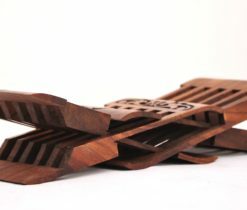 Book holders are unique handmade products that attract many fans of paper books and they simplify reading procedure during long night hours. Book holders do not bother hands to support books and keep them at a level without harm to the eyes. 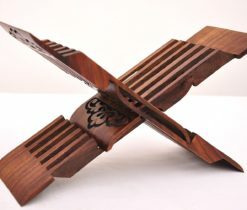 Book holder is not only a comfortable device, but also a splendid detail of the interior. 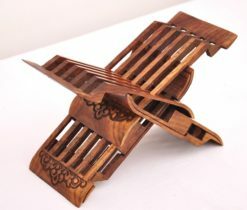 If you are a fan of reading books and searching for some cosy device to turn your reading into long adventure or just to make a present for real lover of eastern décor item, in our decorative handicrafts you can find the best wooden book holders, stands and Laukhs, which will make your reading a pleasant pastime. Modern book holder can be of any shape; often it reflects the interests of the owner of the house, his passion for some theme or genre, adherence to a certain style. 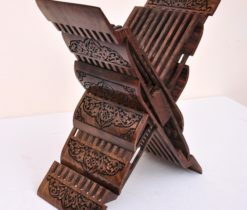 However, wooden book holders were made in oriental style that has been preserved for centuries. 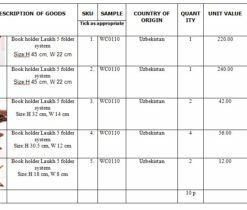 At the basis of the construction of the book holder there is an exact mathematical calculation, scrupulous verifications of lines, angles and bends. 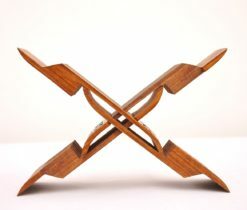 In our online-store you can also find Quran holder which is handmade, and it should be noted that none of the Quran holders, repeat the other and each copy is unique. 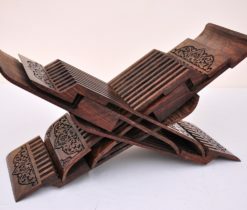 Laukh is a sliding wooden stand for reading books - one of the most original products of oriental woodcarvers. This complex construction is made from solid types of wood like walnut and chinar, without a single nail and without the use of glue or hinges. Eastern devices for reading books are often made of high-quality wood, and this is a great idea for those who want to decorate their interior with a unique product. 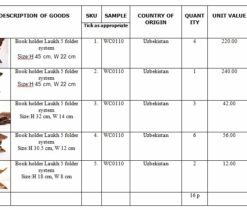 We offer you wooden book stand with adjustable angle of inclination. Stable enough, it holds well even thick and large books. 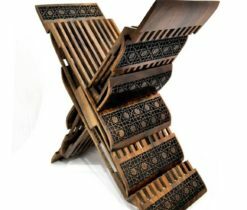 It is made of walnut without the use of metal fittings and fasteners. 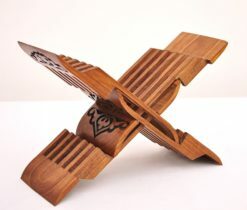 The production of a book stand is the highest aerobatics in the art of a carver. In our web-page you can find the most decorative and classic book stands, which does not require any special care. 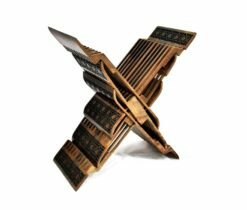 Our assortment also includes wooden bible holder, which is also executed in the oriental style, and do not let a heavy holy book fall, and it's also a good designer accessory for any interior.